Kinkaku-ji (Temple of the Golden Pavilion) was, by far, the loveliest spot on earth I had ever seen. 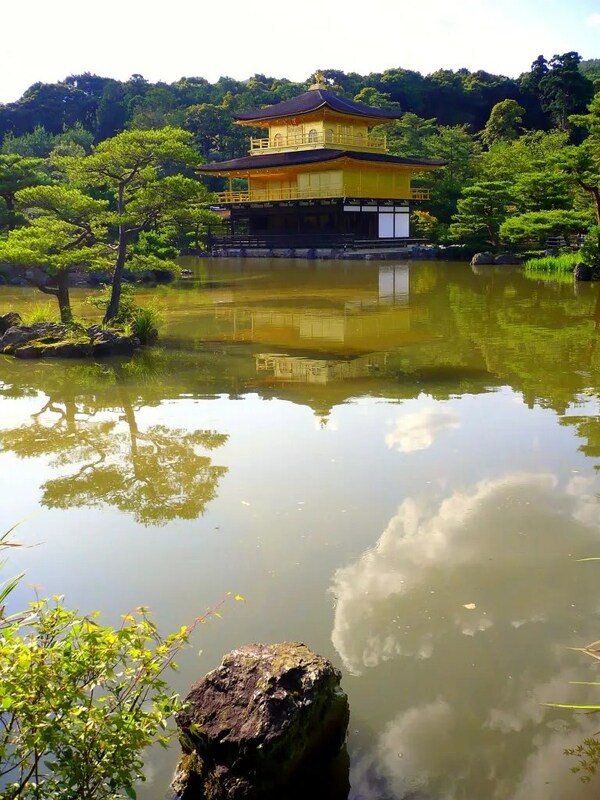 My first glimpse of the imperial yellow temple, gleaming in the summer sun with its reflection shimmering on the placid pond, was a poetic vision – a scene of exquisite beauty that I could only describe as heavenly. Belinda Carlisle nailed it – heaven is a place on earth. And it was in Kyoto. But one man’s heaven could be another man’s hell. Also called Rokuon-ji (Deer Garden Temple), the entire complex consisted of the Golden Pavilion, ponds with several islands, Chinese gates, Kuri (priest’s quarters), a bell tower, a stone pagoda, a tea house, and a small waterfall. 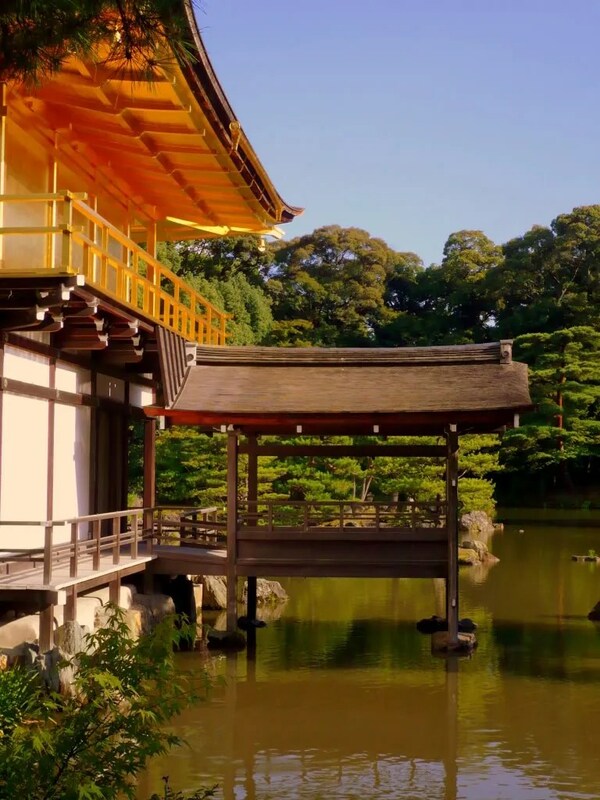 All told, the Golden Pavilion had become the single most iconic structure in it, even in all of Japan, thus, it came to be known as Kinkaku-ji. First built in 1397, it was originally a retirement retreat for a shogun, Ashikaga Yoshimitsu. After his death, the shogun’s son eventually converted the building into a Zen temple. Yet Kinkaku-ji wasn’t always an enclave of tranquility; it burned down many times through the centuries. Architecturally, the three-tiered temple, each tier representing a distinct style, conjured up an image of a wedding cake. Its gold leaf – micro-thin sheet of gold used for gilding – was blindingly bright in the warm late afternoon light. It was said that workers, while applying a new coating of lacquer, had to hold their breaths to avoid creasing the gold leaf with their exhalation. Only when I was going over my photos did I notice the phoenix perched on its roof. How fitting as Kinkaku-ji had risen from the ashes at least three times. The reliquary contained the original rooftop phoenix, but it was closed to the public that time. The temple was gutted twice during a protracted civil war in the 15th century, but it somehow survived the two world wars. American bombers avoided Kyoto. In 1950, Kinkaku-ji was reduced to ashes again, this time by peacetime arson. The perpetrator was one who was supposed to protect it – a 21-year-old Buddhist acolyte. Based on interviews, the apprentice monk was a stammerer who had self-image issues. 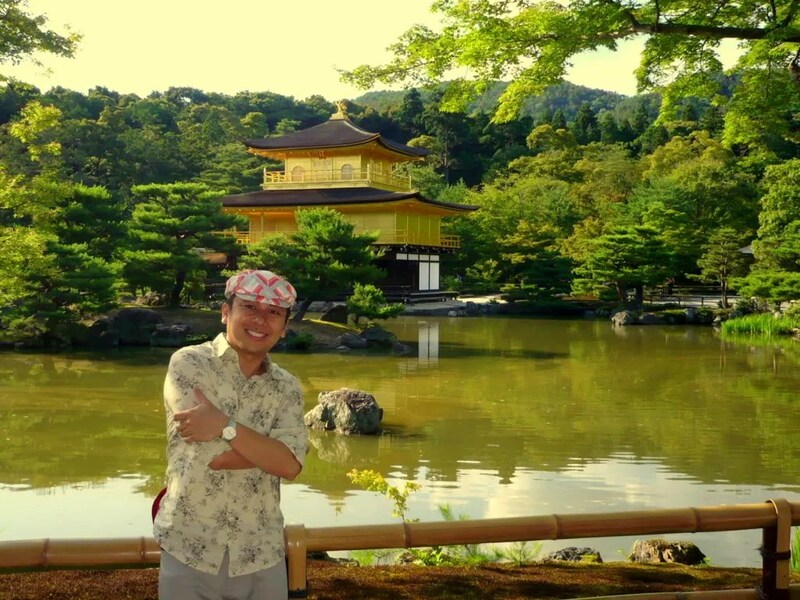 His “antipathy against beauty” and schizophrenia led him to burn Kinkaku-ji to the ground. As he watched the 500-year-old temple go up in flames, he made a vain attempt to die with the object of his obsession. Unlike the temple, he survived his self-inflicted wounds and was sent to prison. His mother, in shame, threw herself off a running train. His death would come five years later, allegedly from consumption. By then, restoration of the temple had already begun. The work was completed only in 2003. Thus, the temple looked shiny and new rather than antiquated. 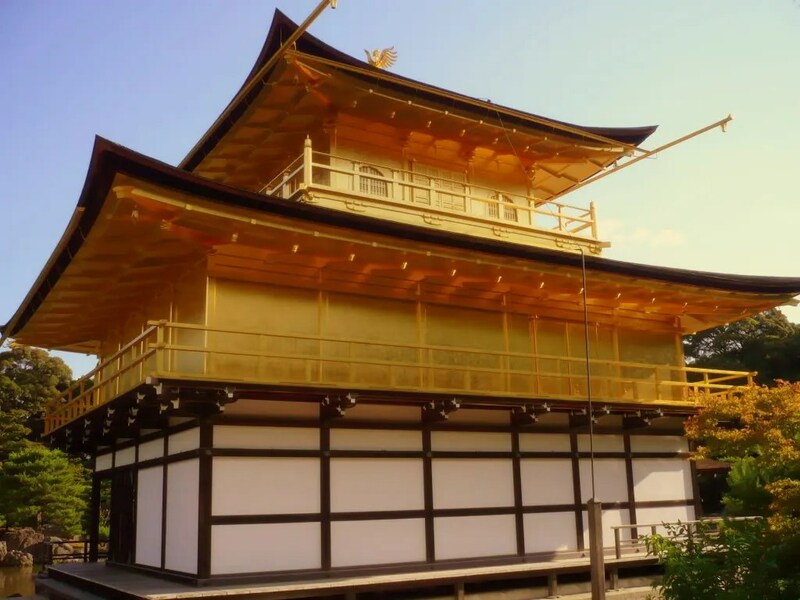 A piece of restored historic edifice may rob us of authenticity, but in Kinkaku-ji’s case, its conception, conflagrations and reconstructions were intrinsic aspects of its history. A self-indulgent shogun had found freedom as a patron of traditional arts here; a mad monk had wrestled with his demons here; I thought I had died and gone to heaven here. I even had a brush with an angel – in the form of a fellow tourist. As I was taking photos of myself, a young man took pity on me and offered to take my photo. In all my travelling, no one had offered to do that. The most picturesque view of the temple was from the other end of Kyouko-chi (Mirror Pond). On that bright summer day, the reflection of the temple and surrounding conifer trees – even the clouds overhead – was crystal clear. Inspired by the description of the Buddhist heaven, it succeeded in evoking heaven. Along the path to the temple, contorted tree trunks framed the temple in some angles. Islets crowned with pine trees and massive rocks dotted the pond, representing the eight oceans and nine mountains in the Buddhist creation story. For a non-Buddhist visitor, they contributed to the graceful harmony of water, sky, nature, and temple. Their mirror-like reflection on the tiny ripples lent a dreamy quality to Kinkaku-ji. 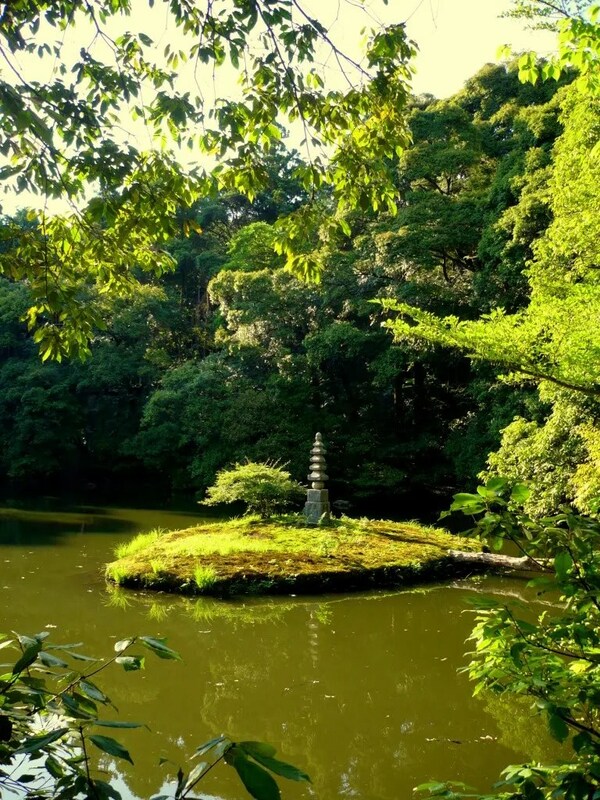 In another pond behind the temple, the Anmintaku (Tranquility Pond), an islet was surmounted by a miniature stone pagoda called Hakuja-no-tzuka or White Snake Mound. This may be from the Legend of White Snake, a popular traditional Chinese story of the tragic love between a young man and a white snake disguised as a beautiful woman (or a beautiful woman cursed to take the form of a white snake at certain times). My Chinese best friend had told me a similar story when we were in Hangzhou, China – the other heaven on earth I had been to, coincidentally. It was perhaps the same legend to which this stone pagoda was dedicated, considering that Yoshimitsu had a fondness for all things Chinese. Ultimately, a place is just a place – it is our perception that colors it differently. They say Kinkaku-ji is magnificent in any season – in the variegated foliage of spring and autumn, the fluffy white of winter, and the lush greens and golden yellows of summer. 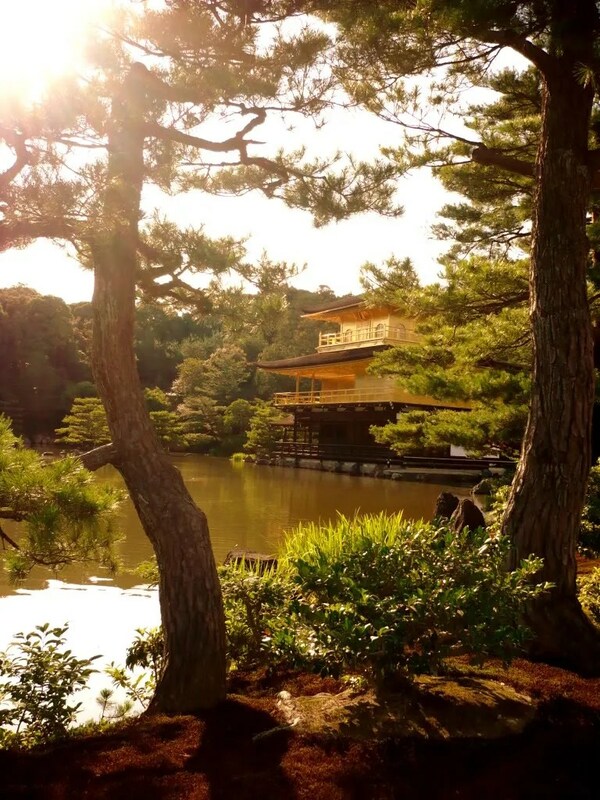 Along with its fiery history, they render Kinkaku-ji in various facets of beauty: ephemeral and timeless, vulnerable and indestructible, romantic and real. Much like our concept of heaven. The place looked more beautiful with your awesome write up. I can’t wait to tour Istanbul with you. Great photos with excellent text. Must be really lovely to visit there. Thanks! 🙂 Yes, Kyoto is the place to be. But I’d love to see Lappland too. hey there, haven’t seen you post anything new recently. why why why? have a good one friend! @Cacho: I’ve posted a lot already! Oh Sky, the place is so photogenic; it’s impossible to take crappy photos of it. Great capture and point of expression, AJ. This is my first time to look into a blog. I’ll be looking forward then to more of your posts which reflects your forte that I’ve come to know. On ward, Sir! great photos and good write. i’m going to love your blog. please add some articles bout japan! Thanks! My Japan series is almost done, unfortunately. I think I only have one or two more entries left to write. Btw, I checked out your blog too, but it’s in a language I don’t know. I like the photos and the descriptive post to go along with it. This looks like a beautiful location. I am very much looking forward to making my way over to Asia! Thanks Quentin! I wonder if you’ve made it to Asia. Would love to read about your trip. That photo is stunning! Absolutely beautiful. this was the part of japan that i missed out on my itinerary. a great mistake. A simple thank you, Diva. Oh, no worries, J. It’s not a secret. It’s just Picasa. I use a point-and-shoot so my photos need a little enhancing for sharper contrast and color clarity. another well-written post matched with excellent pictures! My images can’t hold a candle to yours! Thanks for the kind words, Claire! This looks familiar.. were there in 2001. I seem to rember an area where a building like this had scaffolding around it, closed to the public. But beautiful gardens everywhere around it, and a temple sitting in a pond with causeways leading to it. I must drag those photos out and have another look. Thanks for reviving memoories. I’d forgotten those photos. You should definitely unearth them, Jim. It’s criminal not to. 🙂 I suppose the temple’s beauty could not be concealed by scaffoldings (restoration was completed only in 2003). I hope your photos would see the light of day. These photos are stunning – you have caught the light so well. The photos belie the struggle this place has gone through. It holds a strange history of its own building, destruction and restoration combined with the people that had a chance to live in it. Thanks for sharing. Thanks, Kerry-Ann. It was almost sunset when I got there so the Golden Pavilion was washed over by golden light. My photos, actually, didn’t capture the magical brilliance. You should see it in person. And yes, you’ll appreciate its delicate beauty even more when you know its dramatic history. Great post AJ and the photos are stunning! My prayers are with the people of Japan. From Argentina to the Philippines, we’re all “sending our love and light across the waters” (as my Canadian friend said in Facebook) to Japan. Chyng, hosto kasi ako, hehehe joke. It’s so cheap na to go Japong, thanks to CebuPac, as usual. I guess the only challenge is the visa. I had an invitation from my Japanese host so I was approved sans any hassle. Dunno how it goes for backpackers without an invite. I was carried away by your words. Grabe ka gid ya magsulat. 🙂 And the pictures are so beautiful. Abaw Ilonggo ka man gali! 🙂 The place inspired such words, hehe. Great shots! The place looks very peaceful and relaxing. Sarap siguro mag-meditate dyan! 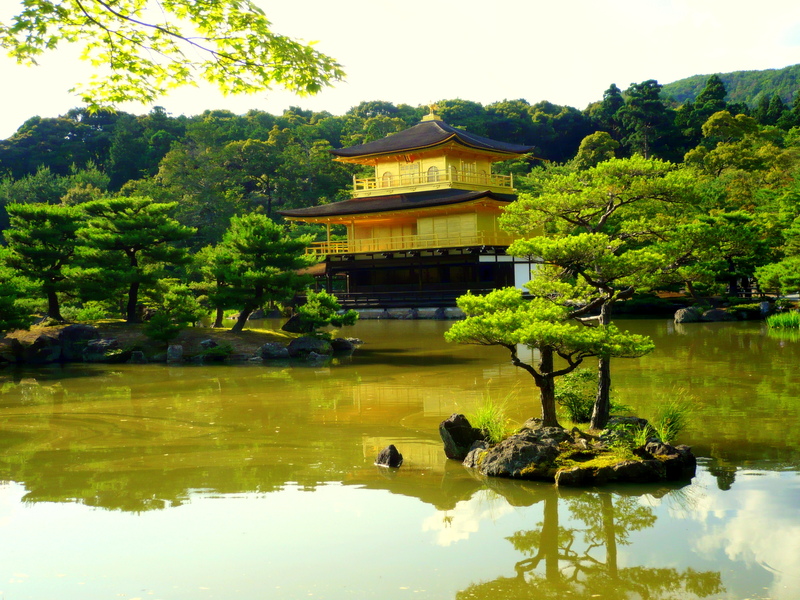 Wow, the Kinkaku-ji simply has a very rich history to it. While I was reading through your post, it felt like the house was being cursed, as family members started “passing on”. Love the mossy greenish tinge of the place. Will definitely include that on my travel list once I luckily shipped myself to Japan. Thanks Violy! The history is crucial in the full appreciation of Kinkaku-ji. It contextualizes its beauty, which is actually the harmonious marriage of temple and nature. Sorry about the loading lag. Thanks for the patience though – wasn’t it worth it? 😀 Yeah the water was murky; but it was not disconcerting enough to diminish my joy for seeing this place. In fact, it made better contrast for the reflection of the temple and clouds on the water. And I wouldn’t get bent outta shape about it. Definitely worth it…it looks so peaceful and restorative. How did the place smell? silly question but the smell of a place is a huge factor for me 🙂 and coming back here, the page loaded in less than 3 seconds! Oh, this is Japan…you can bet there are no imbornal smells here. 😀 That’s how it goes with Photobucket. It’s slow in loading the first time you open the page. I don’t want to upload all photos into WP cuz they take up so much space. I just choose a pic or two for WP, the rest are linked from Photobucket. next to Cathedrals, temples are my favorite places to visit as well. Your words are indicative of a reflection you took..
You can really allude it from being in heaven, looking at the pictures alone, the balance of and serenity it exudes, and knowing that this was once a haven for people seeking peace in a relatively comfortable life. The world has gone to war and back to peace, this place may have been rebuilt from ashes like the phoenix on the roof. It’s just amazing and very inspirational! what’s more, you write very well, it was the most apt words to describe this place referred to as heaven and hell. Me already! 😀 I always appreciate your 2-cents, Pala-lagaw. The serenity and the gleaming golden hue did evoke heaven and the tumultuous history hell. I’m glad you were receptive to what I tried to convey. My posts are not timely, but timeless is even better! Such a sweet thing to say, Atty! Oh, and I’m shocked a globetrotter like you hasn’t been to Kyoto. HEAVENS on Earth and this is one of them. magical history by the way you described it.